Life is precious. No one knows how long we have nor when we will depart from this earth. This morning as I sent my 14 year old daughter off to school, I spent an extra minute telling her I love her and reflected on how blessed our family has been. While my daughter has heard often about September 11th there are many individuals who don’t have a good understanding of what occurred that day and how our lives have all changed. This week I invited two guest speakers to come talk about their experiences to a class I teach at George Mason University. The students had the opportunity to hear from my friend Bryan, who worked at Five World Trade Center 14 years ago. Bryan described in great detail what it was like that day and how he and so many others had to flee not once but twice from Ground Zero as the two towers collapsed. They heard of the initial shock, the wall of dust, particles, and debris and the smell of death that settled over lower Manhattan. During the days and weeks following the attacks, Bryan and so many others worked trying to save and then recover those lost that day. Today, Bryan and many others have health issues stemming from 9/11. Nearly 4,000 survivors and first responders have been diagnosed with cancers and other illnesses from breathing in ash, particles, chemicals, crushed glass and whatever else was in the air that day. For Bryan and those who survived at Ground Zero every day is a blessing. The students then heard from Gary Berntsen, a retired CIA officer who spoke of the Al-Qaeda plot to attack the United States and his role after September 11th. Gary, spoke of his role in leading a group of CIA officers and Special Forces into Afghanistan. But with great passion he spoke of the bravery of those who deployed to take on Osama Bin Laden, Al-Qaeda and the Taliban. Berntsen’s book, Jawbreaker: The Attack on Bin Laden and Al Qaeda: A Personal Account By the CIA’s Key Field Commander, is a must read for anyone interested in the seven weeks it took to defeat the enemy on the battlefield of Afghanistan. Berntsen honestly spoke of why and how Osama Bin Laden was able to escape into Pakistan in December 2001. The students had an opportunity of a lifetime to speak with two individuals with great insight into the events of that day and the events that unfolded in Afghanistan. We all have a duty to make sure that this next generation understands what occurred on September 11th and the long term implications for those who gave so much that day and afterwards to keep our country safe. Just like this morning when I sent my daughter off to school, September 11, 2001, was a sunny day that held so much promise for so many. We must never forget those who lost their lives that day and that every day there are people who are fighting for their lives due to the medical implications associated with that attack. We owe it to them to teach the next generation that with freedom comes responsibilities. In November 2001, a New York City police commander told me of a boy from Ohio who had heard on the radio that first responders working at Ground Zero needed gloves. This boy got a box and went door to door in his neighborhood and collected over 400 sets of gloves. The boy’s father impressed with his son’s efforts drove his son and the gloves to New York City and they delivered the gloves to NYPD. 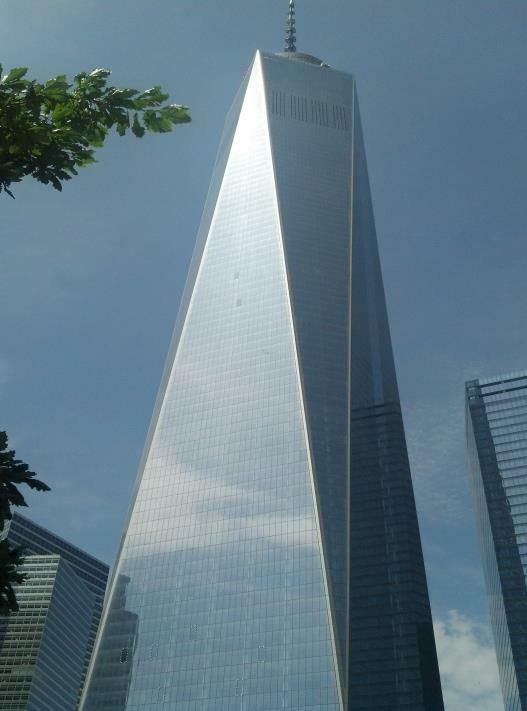 Armed with knowledge this next generation will rise up like the new One World Trade Center building mirroring to the world that America is still the beacon of freedom and democracy. Today or sometime this month take some time and talk with a member of the next generation about terrorism, September 11th and the bravery of so many Americans. Fourteen years ago they were just young children but they are the future of America.